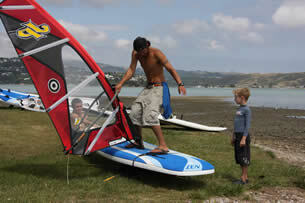 The Wild Winds Windsurf School is fully equipped with the latest in windsurfing equipment! By having a lesson with our RYA qualified instructors and using the latest equipment, we will have you up and windsirgin in the shortest possible time. 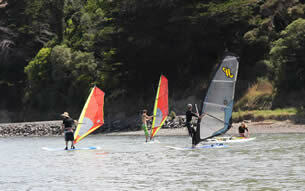 Our windsurf school is fully mobile which makes it possible to take you to the best location on the day. 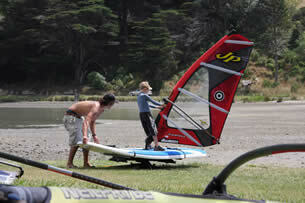 We provide: All windsurfing equipment including wet suits, booties and buoyancy aids.